Copyright James Hargrave 2009-2013. Powered by Blogger. Today I attended Suffolk County Council's Annual meeting and I was impressed to hear articulate, reasoned and powerful arguments. However these did not in the main come from members of the council but from petitioners including a group of young people from the Just42 youth charity in Woodbridge. 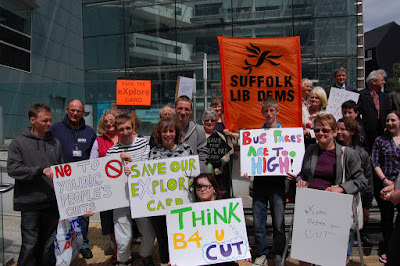 Three petitions were presented to the council one on country parks, a second on waste tips incredibly presented to the County Council by two Conservative Mid Suffolk District councillors including the Portfolio Holder for Waste and then the eXplore card petition. 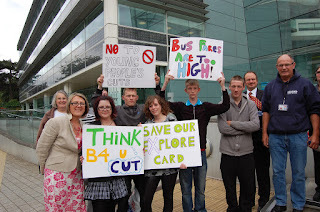 Patrick Gillard from Woodbridge and Greer Hill, Head of Student Services at Otley College presented a convincing case that the withdrawal of the eXplore card is an injustice and already causing attendance and retention problems at colleges. The card which enabled young people to have discounted travel on public transport was withdrawn in April this year. Gillard described the eXplore card as an investment in the future and pointed to problems with education, employment and independence caused by its withdrawal. Hill said that there was a feeling that the card was withdrawn as its holders cannot vote and they and the Just42 students present complained that they were not consulted about the withdrawal of the card half way through the academic year. 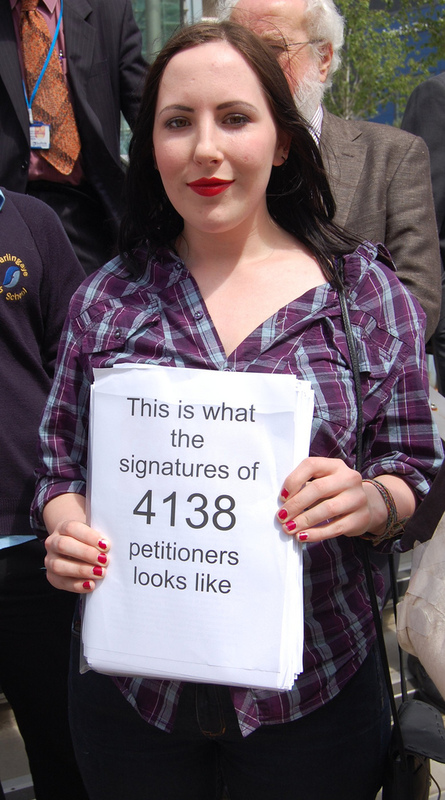 The response to this petition was particularly shameful. Despite promises to listen to the people of Suffolk made a few minutes earlier Mark Bee didn't seem too keen to do anything about this issue. 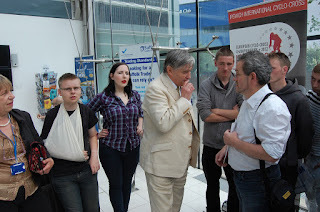 Portfolio Holder GuyMcGregor claimed to have introduced the eXplore card himself and there was quite a scene between him and Labour Leader Sandy Martin who pointed out that this was a deliberate attempt to mis-lead. McGregor did introduce the card but it was simply a re-naming of the existing card issued by the previous Labour/Liberal administration. McGregor went on to simply repeat the argument that there is no money and there was complete confusion in the council chamber about what the next action should be. Newly elected Chairman Patricia O'Brien seemed to think that petitions were literally presented, 3 Councillors speak and the Portfolio holder replies and that is that. She seemed to have some difficulty with the procedures and ended up adjourning the meeting with the future position unclear. Things "looking up" for Suffolk County Council? Dan Poulter wants Andrea Hill to go! Writing on the wall for Andrea Hill? Suffolk Library U-Turn: Devil in the detail?